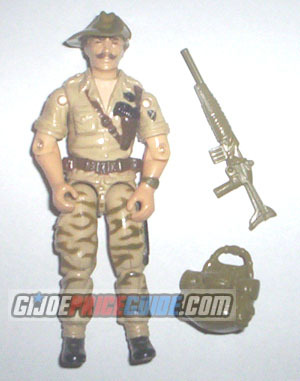 NOTES: Recondo came in a green version and in what is commonly called a brown camo version. The brown camo version above actually has an olive color camouflage pattern on his pants, along with a more olive green hat, watch and accessories. I have shown the green version below with a tan accessory pack gun. 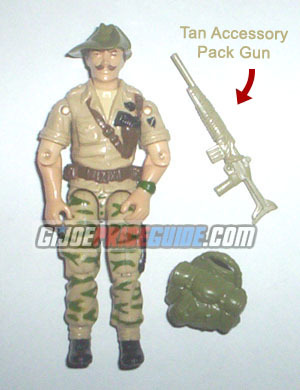 You will want to make sure Recondo's gun is original because the tan gun looks very similar to the green ones. Neither variation of Recondo seems to be harder to find.